This past weekend, I spent a most wonderful time in New York City. The original purpose of the trip was to see the JJ Abrams and Doug Dorst event at Symphony Space, but as you will soon see, it became so much more than that. In the weeks leading up to the trip, followers of BOLO Books no doubt read the various posts about the release of the book S. by Doug Dorst and JJ Abrams. The two most important of these were a post offering a glimpse inside and the official BOLO Books review. But what you may not have been aware of was that a contest was going on over at the Mulholland Books website relating to the release of S. This contest contained a cipher puzzle and correctly answering this cipher would result in the winning of a truly fantastic prize – a lunch date with both JJ Abrams and Doug Dorst. And folks, I won that prize! Obviously they provide cipher clues. Of course sailor Maelstrom was the keyword. But digraphs came from the poem itself. Oddly important, each lines first and last letters. See who wishes to dine. 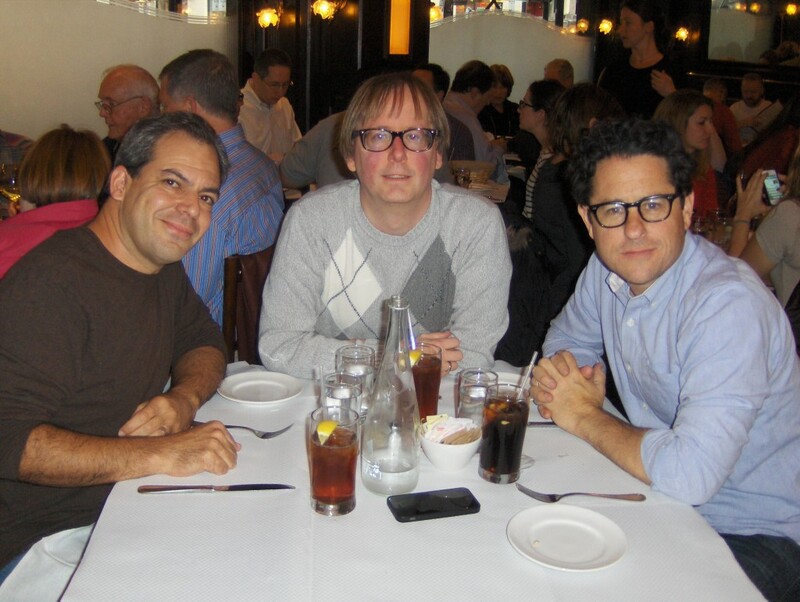 And now onward to the prize: On Friday, November 22, I met both Doug Dorst and JJ Abrams at Balthazar restaurant for a very special lunch filled with wonderful food and incredible discussion. While some of what occurred at the lunch, I will keep off the record at the request of those in attendance – I can share some select highlights. We discussed the puzzle contest and both Doug and JJ were impressed with the acrostic element of my solution. They were convinced that this was what caused the Mulholland people to choose my entry as the winner. (In talking with Pamela Brown at Mulholland, I can confirm that they were delighted with this format for the answer, as my lunch companions expected). We spent some time discussing S.’s placement in the canon of books that contain removable elements and puzzles – books like Griffin and Sabine by Nick Bantock. I brought up the topic of Masquerade by Kit Williams which came out in the late ’70s or early ’80s which looked like a standard children’s book but the pictures contained clues to the location of a buried treasure: a jewel-encrusted rabbit. JJ remembered the book while Doug was not familiar with it. Both were saddened to hear of the controversy related to the finding of that prize. Details on Wikipedia. Both Doug and JJ asked about BOLO Books and were pleased with my decision to not run any negative reviews. Both were also pleased to hear that when I link to purchase options for books, I always go directly to the publisher’s page where all options are listed rather than linking to any one retailer. The three of us at that table were certainly fans of Indie bookstores and want to help in any way possible. Some of you no doubt want to know if I asked about Star Wars, and I did. All he would say and I will repeat is that JJ confirmed that they are currently deep in script development mode. I was able to get my copy of S. signed in what I feel is a unique way, as befits this unusual book. In the white space near a passage that held a special meaning for me, I asked them to sign the margins with a personalized message that would mimic the marginalia already existing in this complex novel. JJ also signed my Blu-Ray copy of Star Trek: Into Darkness. The lunch last just under an hour because both Doug and JJ were off to do some radio promotion for S. before the Soho Apple store event that evening. It was more than an honor to have this time to sit down with them. Both gentlemen were very welcoming and it really felt like a casual lunch among friends. That is completely to the credit of those two men, as for me, it will always remain a highpoint of my blog-related life. Oh, who am I kidding, it will be a highlight of my entire life. JJ Abrams was so gracious in making it clear to the audience that while the original idea which became S. was his; the actual writing of the work was all done by Doug Dorst. It was clear that JJ wanted to make sure everyone understood how integral Doug was to the successful realization of this product from what was just the briefest of an idea. Lena Dunham has never seen the first Star Wars movies. This revelation was enough to literally lay JJ Abrams out on the floor. Both authors credited Stephen King as a major literary influence. 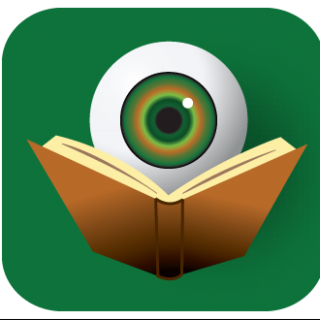 JJ made mention of Night Shift, which he called Twilight Zone in book form. Meanwhile Doug said he read The Shining (at age 4) way before he should have been allowed to. Lena Dunham has never seen Jeopardy! and when she attempted to create a JJ Abrams category of questions for Doug to answer, it was a train-wreck that had the audience in hysterics. I should point out here that Doug Dorst appeared on Jeopardy! and won multiple times. Doug is very much a fan of structural complexity in novels – works like those of David Forster Wallace. He also said that the character of Eric shares traits with him, such as being obsessive and slightly arrogant in his literary tastes. Lena Dunham skillfully used humor to reprimanded the audience because their submitted questions often focused on JJ Abrams’ film/tv work when clearly the event was intended to be about S. and Literature. All in all, the Symphony Space event was fun and informative. I didn’t stick around for the signing portion, since I had already gotten my books signed. But it is safe to say that in the end, it was a once-in-a-lifetime weekend in New York City and something that I will never forget. Thank you to Mulholland Books, Doug Dorst and JJ Abrams! Yay! I’m so thrilled to read about your experience with JJ and Doug. Like my lunch with Darren, it’s wonderful when people like them are so down to earth and easy to talk to. It makes the experience so much more intimate and special. Congrats on the wonderful weekend! You just rock. I am struggling to come up with a cooler way to say it, but I can’t. Also, my favorite line of the above post was “Oh, who am I kidding, it will be a highlight of my entire life.” Also, if I didn’t have kids, I would have died without seeing any Star Wars. Didn’t see them until Nov 2012. And now I have seen the original 3 and Episode 2 approximately 27,000 times. Again, congrats! And may many more of these opportunities come your way! Cool…just plain cool! So happy that you had this experience. Could not have gone to a kinder or more deserving individual.